You are a student or trainee studying entrepreneurship and/or agriculture in vocational school, and would like to develop your competences in this topic. If you are tired of reading textbooks, trying to memorize the most important attributes of entrepreneurship, then this is your place to practice and challenge your knowledge and competences in a game based learning environment You are a teacher and you lack methods or tools to effectively teach entrepreneurship skills to your students. If you are looking for an educational tool, to spice up your classes, and ensure that your students really understand the basic competences for entrepreneurship, and you would like to provide some gamified practical lessons… this is your place And for you if you would like to play a few games, while acquiring new knowledge on agricultural and entrepreneurial competences. Since 1989 Trebag has been dealing with research and development with main focus on innovation in business and education. Firstly, we provide innovation consultancy for SMEs and large companies enabling them to undergo innovation audit and to participate in high-tech R+D+I projects. Secondly, we concentrate on the research and creation of education and training methods and contents trainings. Since 2000 Trebag earned reputation as an expert of ICT–intensive edu-gaming, e-, m-learning and gamification materials. During this work we have been involved in numerous projects in the frameworks of research and lifelong learning of the European Union. Our projects touched various fields, such as entrepreneurship, creativity and capacity enhancement, web2 and ICT skills, consumer rights and sustainability, social inclusion, active ageing, mental health. In 2000 we established an Innovation Lodge and the Wellbeing Living Lab in Nagykovácsi, Budapest agglomeration, which became a member of the European Network of Living Labs (EnoLL) in 2011. H-2094 Nagykovácsi Kossuth utca 20. The Agricultural Vocational Centre of Central-Hungary is the cooperation of 4 different schools. These institutes cover the whole agrobusiness from plant growing, animal husbandry, horticulture, forestry, engineering, to food industry, cartography, landscaping, rural tourism and agricultural economics and trading. We offer full-time education for our students from the age fourteen to twenty. This year we have about 1500 students and the participants of the adult education. The vocational centre is regulated and financed directly by the Ministry of Agriculture. Our schools are located in Central-Europe and in the centre of Hungary. Two of our schools are in Budapest, one in Vác, at the bank of the river Danube, and one in the mountains of Buda, in the town Piliscsaba. The schools are closer than 40km from the central building (located in the X. district of Budapest). All of our schools have student-dormitories, this way we can provide good conditions for students from the countryside. Our centre has a very active international life. Every year, we take part in the Erasmus+ student mobility and innovation transfer programs. In the last 2 years Bercsényi school was a host partner for a Spanish university and Spanish students spent 3 months practical training in our school. We are a member of the EUROPEA organization what gives us good opportunities to know the newest education methods. We would like to improve our international network and would like to find new partners for the future programs. This year we had cooperation with Denmark, Germany, the Netherlands, France, Finland, UK, Ireland and Estonia. We had programs for the students and for the teachers as well. H-1106 Budapest, Maglódi út 4/b. PROMPT-H Information Technology Educational, Trade and Service Ltd was established in 1989, by highly qualified IT experts with intensive R&D activities based on their academic background. The company has two main divisions, one of them is the software-hardware development and IT system integration, the other one is the delivery of IT training and eLearning solutions. Prompt is an IT training and eLearning provider and it delivers further training programmes for teachers – accredited in Hungarian Education System – on eLearning methodology for developing their enhanced ICT competencies, and eLearning adoption capabilities. H- 2100, Gödöllő, Testvérvárosok útja 28. 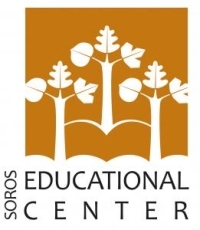 The mission of the Soros Educational Center Foundation (SEC) is to promote open society and develop the region via education-related services and projects. SEC offers formal non-formal courses and training for various target groups, including teachers, trainers, SMEs, local NGOs, involving disadvantaged members of the community too. SEC has 350-400 students per year, 20% of them being teenage learners. As a member of various European consortia and partnerships, for the last ten years SEC staff and trainers have gained significant experience in managing European cooperation projects in the field of adult education. SEC provides language training in various European languages, training in the field of ICT, key competences and promote the professional development of teachers and adult educators. In the past ten years we have been enhancing the quality of our educational offer and have been promoting take-up of innovative practices by actively participating at above 30 European projects run under the Socrates and Lifelong Learning Programmes. We closely collaborate with public institutions, training bodies and public schools in our region to jointly answer educational and training needs of the region. RO – 530220 Csíkszereda - Hargita county - Kossuth Lajos u., 9. Czech University of Life Sciences Prague, Czech Republic (CULS – former Czech University of Agriculture Prague) was established in 1906. The large and constantly developing campus offers excellent opportunities for education and research. The institution has almost 25.000 enrolled students who, together with about 1,500 staff (academic, researchers, technicians and administrative workers) form an academic forum. The university comprises seven faculties. Czech University of Life Sciences Prague has good experiences both in research and education. Being a partner in the project the university can provide research and educational works, develop software, organise nets, organise evaluation, arrange workshops, events, prepare and develop training modules/materials and conduct pilot projects, training, tutoring, etc. Their activities cover all fields involved in the project. It can undertake all tasks of project: surveying, needs analysis, evaluation, development of software, training modules, e-learning materials with multimedia. INVESLAN is a private research organization specialized in social and market research in the fields of employment, gender issues, social inclusion, professional training and adult education, ITCs application to learning environments and management, knowledge management and disadvantaged collectives. Our experience in Social Research Studies includes analytical and situation studies about collectives with special difficulties in accessing labour market, descriptive and assessment studies about training and employment for specific collectives and geographical areas or studies on the development of training materials, among others. Our experience in Social Research is complemented with a wide experience in international projects management through European Projects in the framework of the Lifelong Learning Programme, participating and/or coordinating projects under the Leonardo da Vinci or Grundtvig sub programmes. Currently INVESLAN has been particularly focused on innovative training methodologies, new learning environments and content combining the use of ICTs with a lifelong learning approach. Hazi is a Public Foundation located in the Basque Country aimed to promote competitiveness, sustainability and innovation in the agriculture sector, enhancing rural and local development and contributing to the valorisation of the rural Areas to maintain the local cultural and natural heritage. a) Development and promotion of agro alimentary and fishery products of high quality, through origin certificates. b) Establishment of certification and control systems over agro alimentary and fishery products, to guarantee their origin, security, authenticity and their quality. d) Enhancement of agreements and actions to foster cooperation between different actors or the agricultural sector. e) Enforce entrepreneurship and the creation of agro-business. f) Disseminate EU policies and programs to develop national and international projects. g) Enhance rural development through projects aimed to revitalize the rural areas socially and economically. h) Promotion of the qualifications of professionals from the agricultural sector through the provision of specific training. i) Coordination, development and implementation of technological solutions aimed to improve productive processes, commercialization and transformation. j) Design and execution of statistical research, cartography and socio-economic research. k) Design and development of projects for the recognition, analysis, evaluation and control of territorial and environmental resources and its management, especially of protected natural spaces. Hazi counts with 193 workers. There are counter-opinions that say games are just not the tool for learning, for knowledge transfer. Of course when using or even designing educational games one must be well aware of the topic and the target groups needs and possibilities. 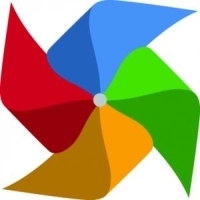 The main product of the Plentis project is the Agropoly online serious game platform. This is a virtual place which reunites the fun of playing with games and usefulness of learning entrepreneurial skills and competencies for students of agricultural sector. If these students are open or plan to start their own business in the future, they will already have an idea about real life situations as well as they get an idea about their competencies to be developed. The game itself has a frame story serving as a starting point to give them motivation to perform well and achieve points. This framework is about building up their own enterprise depending on their collected points they earn based on their correct answers; this way it will presumably motivate them to solve as many tests as possible. Besides the tests – based on different types of game engines – real life simulations, decision trees can also be found (and played) on the platform. The platform contains 6 knowledge bases, covering the important topics of agricultural entrepreneurship and the essential competences belonging to it. 8-10 minigames belong to every knowledge center, with the aim of developing the competences. The achievements of the players will be honoured by a pointing system. The points can be used to purchase different objects and placed individually on this forsaken land, making their gaming area more personalised. The players can compare their progress through these objects and the development of the piece of land each of them own. Below you can find the latest news of the Plentis project, you can check the project process, and have a glimpse on the partners work. The dissemination event of the PLENTIS project in Spain was the final key exploitation activity. The objective of this workshop was to introduce the PLENTIS project and its main outputs (AGROPOLY game and Trainers Handbook) to the project target groups. On Monday 21st December a partner of PLENTIS project organized a conference for vocational secondary schools and experts in field of education. Except Agropoly introduction also interesting workshops about entrepreneurship were held by erudite speakers.